Contest: 5 Minute Watercolor Book Giveaway! 5 Minute Watercolor Book Giveaway! 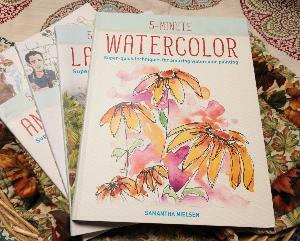 Prize: Enter for a chance to win a Firefly press copy of 5 Minute Watercolor: Super-Quick Techniques For Amazing Watercolor Painting by Samantha Nielsen. Statistics: This contest was opened by 76 and entered by 7 ContestChest.com members. 9% of those who opened the contest, entered it.